SuperPlate: an efficient way to manage complex electronic systems having high concentrated power. Water cooling is becoming more and more the solution to dissipate the high power of last generation power (IGBTs) modules: Pada is on your side with more than 10 years experience. 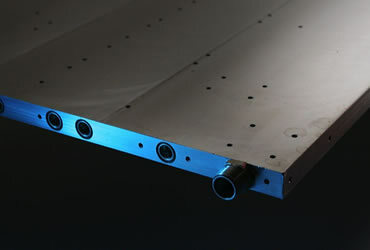 SuperPlate can be manufactured with copper tubes, stainless steel tubes or drilled through holes: contact us to find together the solution "tailored" to your needs. 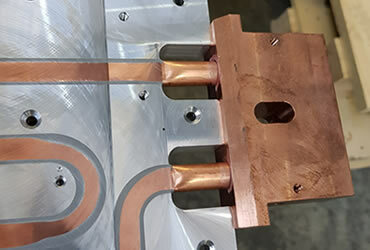 Our forced water cooling system SuperPlate allows to manage complex electronic systems having concentrated power in an efficient and cost - effective way. Among the advantages of our SuperPlate the most remarkable one is the possibility of separating the area where power is generated, which is generally narrow, from the dissipation area. Furthermore, this system allows to avoid noise and problems due to vibration. 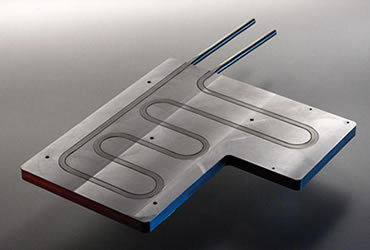 SuperPlate can be easily assembled in a typical cooling system consisting of the following: one pump, one expansion tank, one heat exchanger and, of course, SuperPlate. 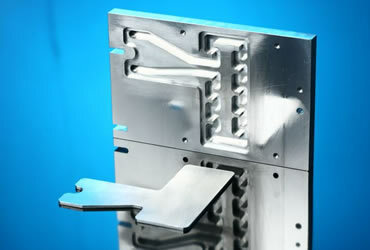 Our water cooled plates can dissipate high power on surfaces of limited area. 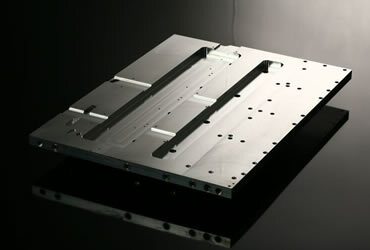 The plate can be used mounting the components on both sides of the plate itself. The thermal performances of the heat sinks will be used at their best if the components are mounted on the tube side of the plate. 145x25/280mm with copper tubes (D=10mm). Cooling medium = 100% Water. To manage very high power (kW), lowering dimensions, increasing thermal features. In all cases where forced ventilations it’s not allowed.